Today, more than 1.93 billion people actively use Facebook to stay connected to what's important to them. More than 1.2 billion people are on Facebook every day. Digitization is increasing the importance of social media channels. Social media recruiting in general and Facebook recruiting in particular are good channels and measures to attract passive candidates with new jobs and vacancies. With currently more than 230 million members in the U.S., Facebook forms a good basis for recruitment measures. Through its worldwide coverage, it is also possible to transfer successful recruiting content to other regions and target groups. 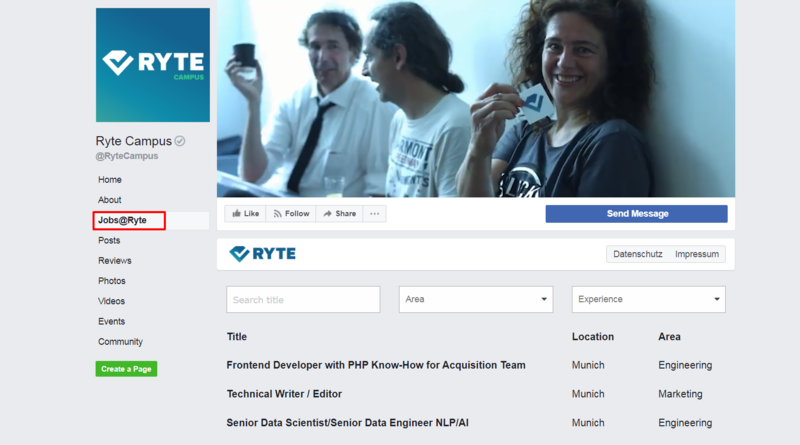 What does a Facebook job board look like? It is possible to set up a Facebook job board as a company and post jobs directly on Facebook. The basic requirement for this is just your own company Facebook page. The job can then be posted via this page. There is also a filter function, so that candidates can easily search through the available positions. When a candidate clicks on a job offer, they are linked to the specific job on the company's career page. What are the advantages of a Facebook job board? The advantage is that interested candidates can directly access the job offers. You do not have to leave Facebook first, go to the company's career page and then look for the specific job. If they click on the job, they will be forwarded directly and can apply. Another advantage is that you know where the application is coming from, which means you can find out how many qualitative applications are received via Facebook. Another way to use Facebook for recruiting is the placement of advertising. The reach of advertising on Facebook is very wide. Facebook ads are integrated into the flow of information that users see on their Facebook visits. By targeting ads, you can reach a high number of users and get a lot of attention. We would be happy to show you more examples and what the implementation could look like for your company in a free demo. Request a free demo here.